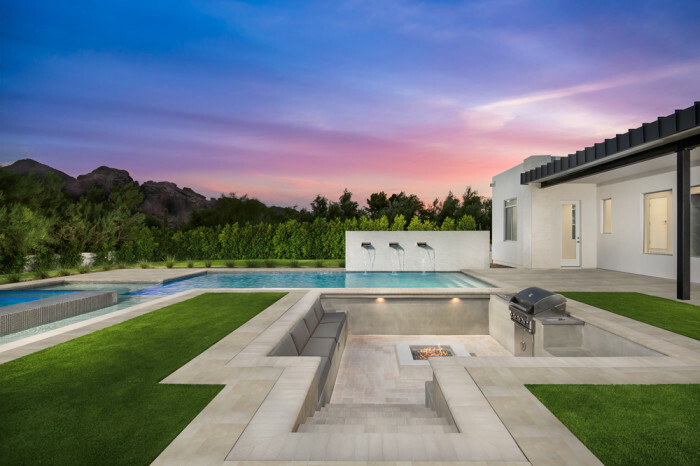 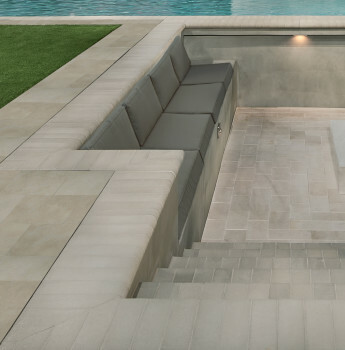 The soft tones of the Marigold limestone pool coping and pavers, combined with the subtle stone look of Amazon porcelain in Silver, let the vibrant sunset and lush plantlife stand out. 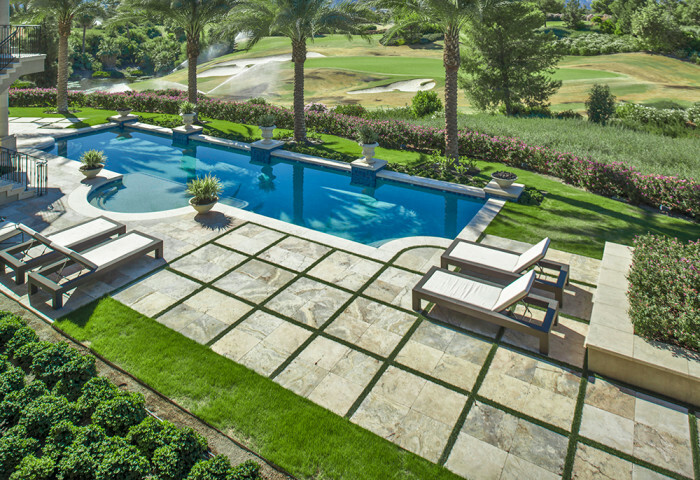 Due to its unique shapes, Amber Gold slate flagstone and random size pavers lend themselves to create organic designs within your garden. 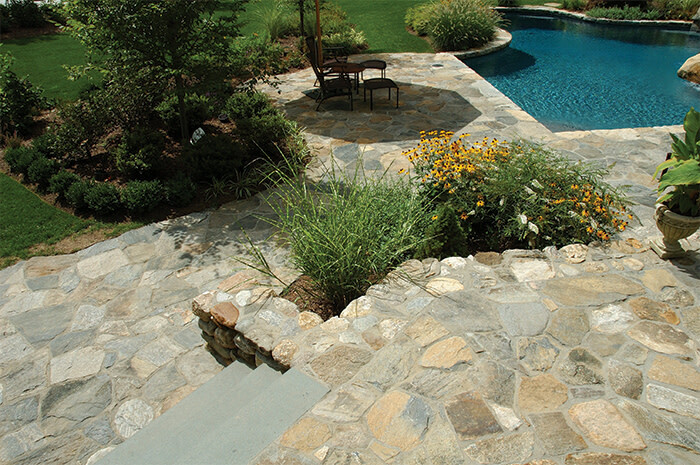 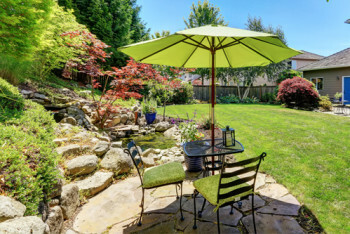 The natural look of flagstone is accentuated within the green plants, grass and colorful flowers. 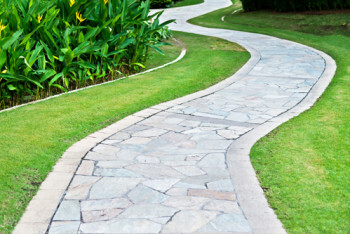 It's so versatile, you can use it as a welcoming front walk, as your entire patio or as a pathway leading further into your garden. 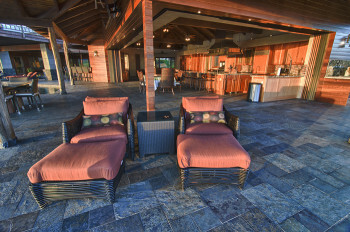 The cool and warm tones of Brazlian Multi-color and Butterscotch slate play well with the cool watery blues in this Hawaiian vacation home. 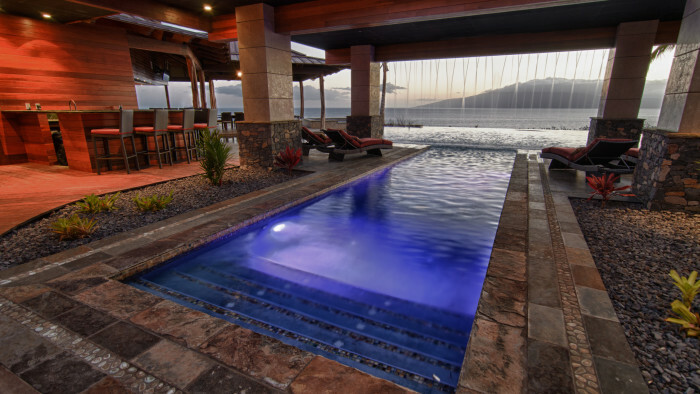 Use it as your entire lanai and around the pool and spa. 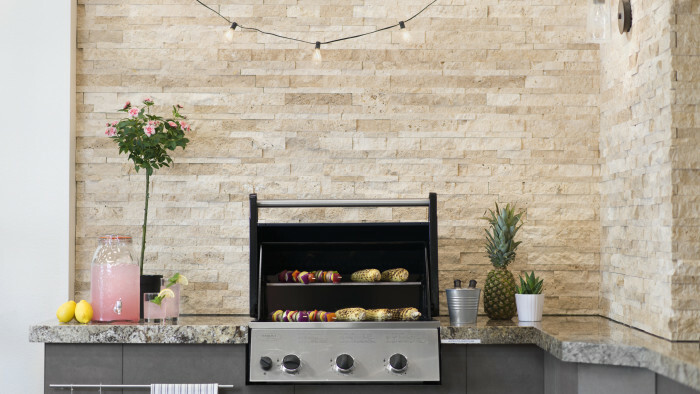 You can use these slates in any environment to create your own island escape. 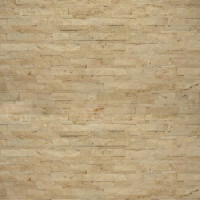 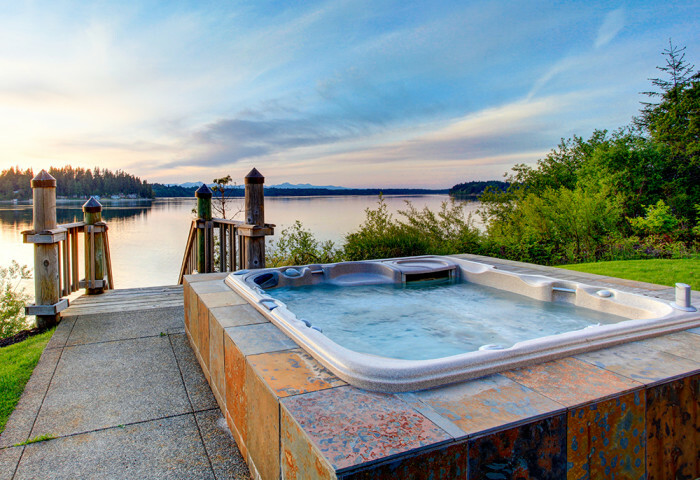 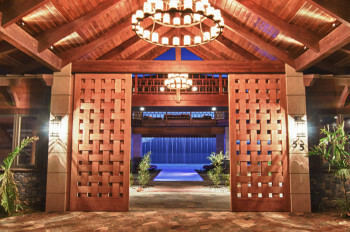 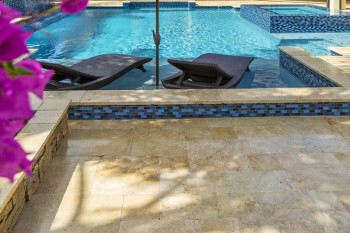 Dive into luxury when you use these large format travertine tiles to create a unique patio. 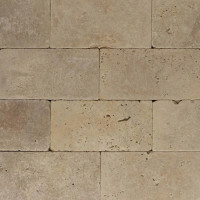 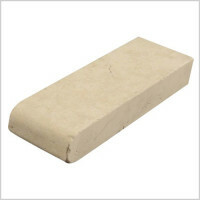 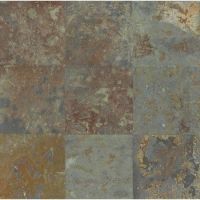 Create paving sections with our Philadelphia Rust tumbled travertine pavers for an amazing look. 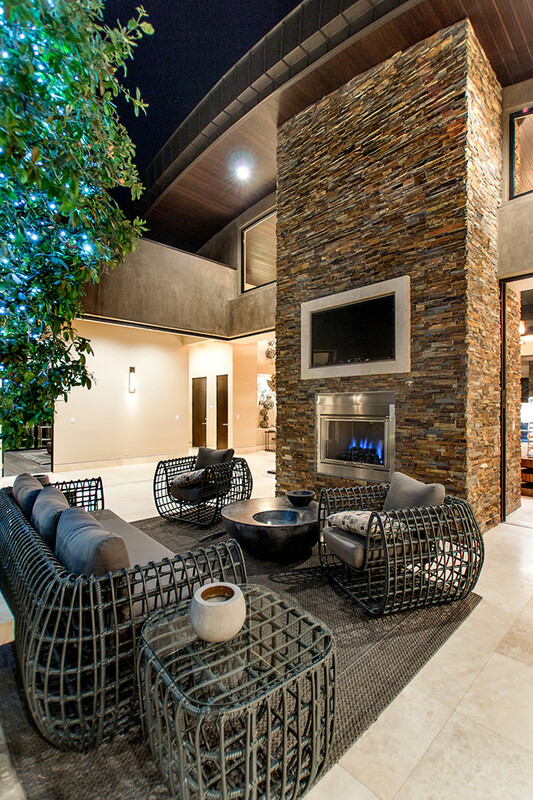 This designer set them in a grid and let the grass appear as the grout! 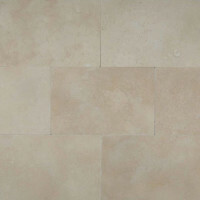 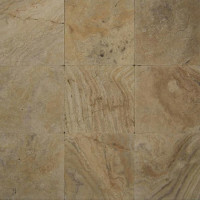 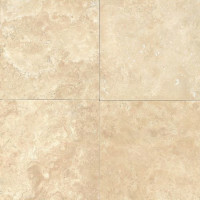 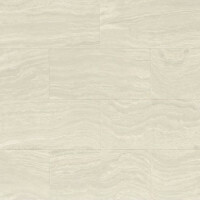 For a complete look, tile your whole patio with complementary Philadelphia and Torreon travertine tile. 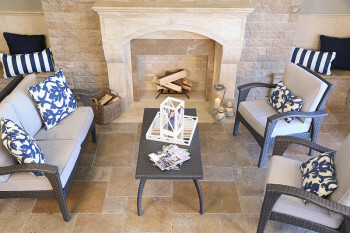 Colorful cushions and flowers will pop when you use Mediterranean Beige travertine tile as your base. 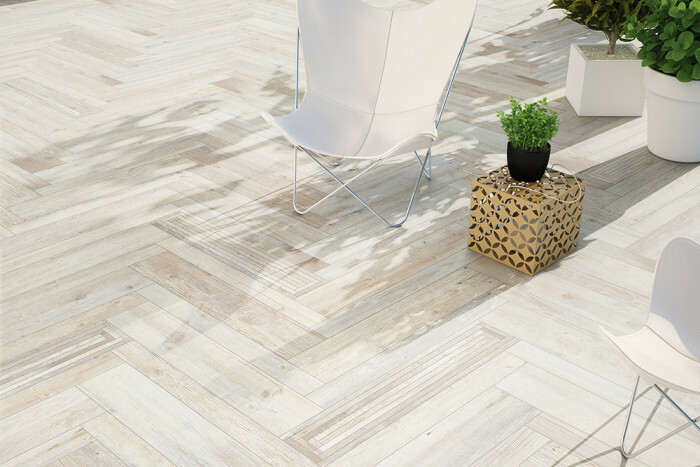 Whether it's your pool deck, BBQ area or your spot by the fire, the soothing beige and creamy hues of our rustic ledger panels and tile will create a relaxing atmosphere. 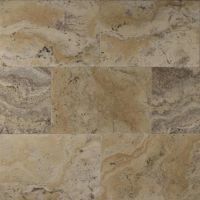 Butterscotch 6"x24" split face ledger on fireplace and Chocolate 18"x18" travertine on the floor. 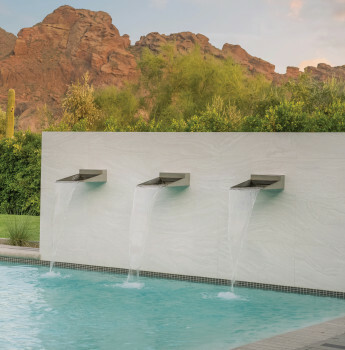 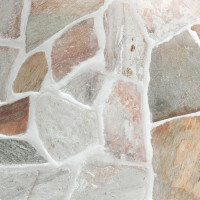 For even more ideas, explore our Outdoor Collection and Stone Tile options.